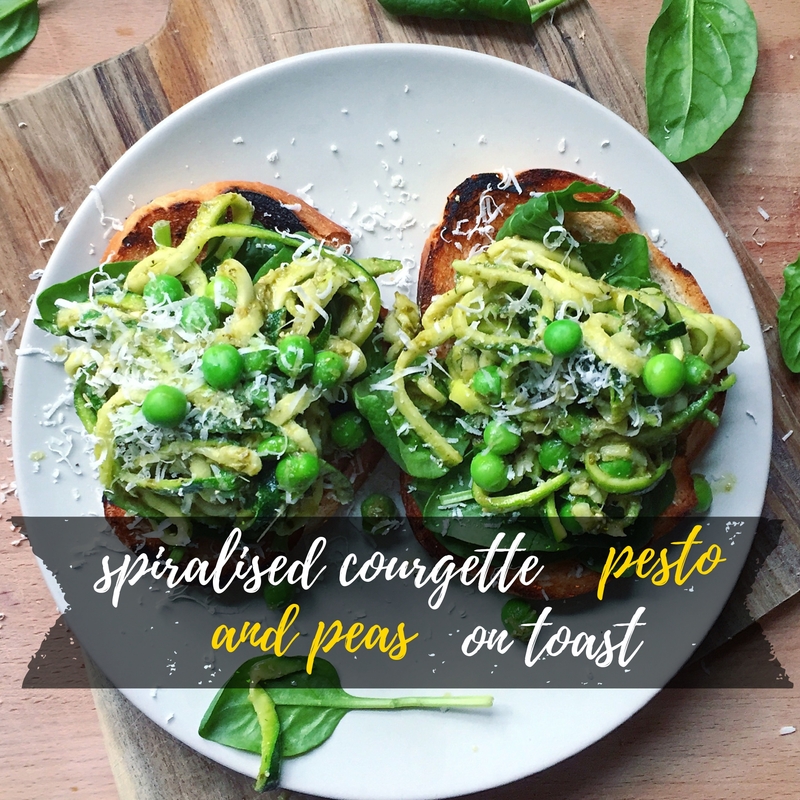 Move over avocado, here are other luscious green wares to have on our toast …. Spiralize 1 courgette, sauté in a pesto sauce for around 3 minutes just to heat really. Then add fresh garden peas (or place frozen peas in a mug of boiling water while you sauté the courgette). It takes just minutes to make, and gives you a plate of green yuminess!